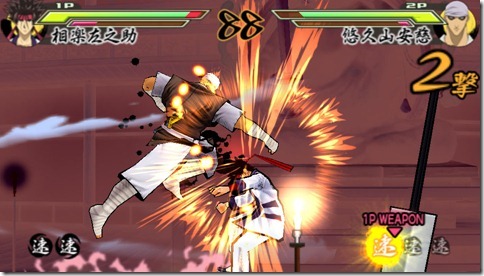 As a celebration for the 15th Anniversary of Nobuhiko Watsuki's top-selling period manga Rurouni Kenshin, Bandai Namco will be a releasing a 2D-based fighting game based on it. 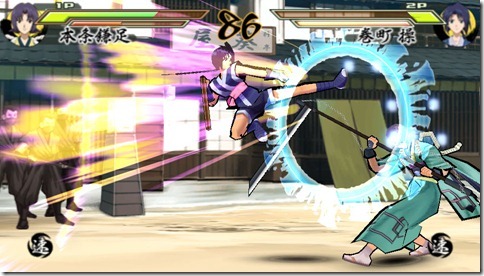 Here's the promo and a few gameplay previews for Rurouni Kenshin: Meiji Kenkaku Romantan Saisen. 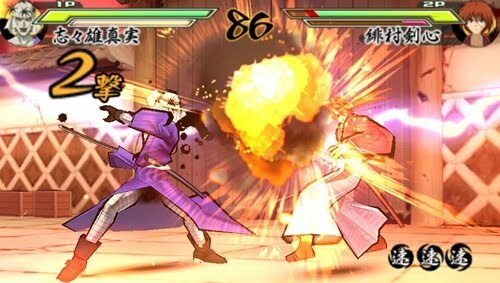 And as expected by many fans, there are a bunch of characters included in the Rurouni Kenshin: Meiji Kenkaku Romantan Saisen game. 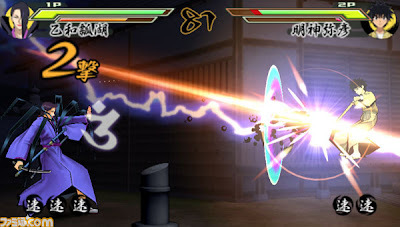 This includes lead characters like Kenshin Himura, Kaoru Kamiya, Sanosuke Sagara, Myojin Yahiko, Misao Makimachi, Saito Hajime and Aoshi Shinomori. 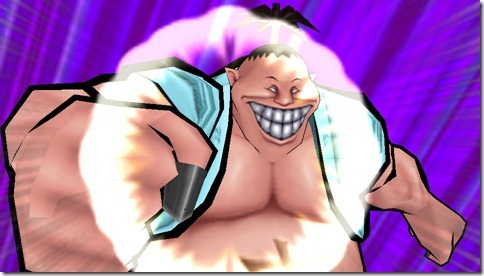 Major villains like Makoto Shishioh's faction are also included. 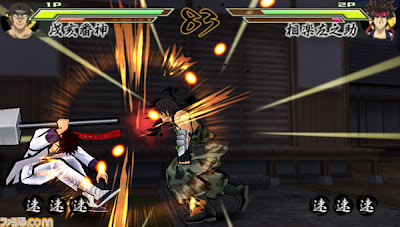 Rurouni Kenshin: Meiji Kenkaku Romantan Saisen is available in the Sony Playstation Portable gaming platform. It costs Y5860 and will be released on March 10, 2011. 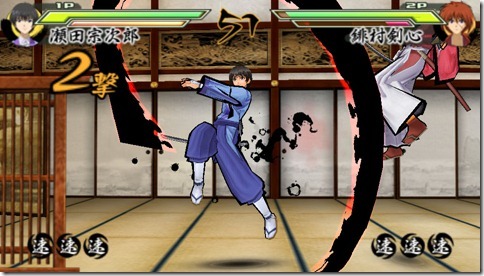 More Juppongatana Screens on Rurouni Kenshin: Meiji Kenkaku Romantan Saisen! 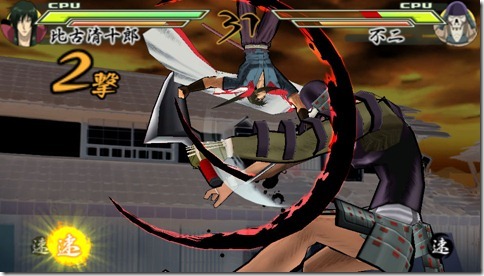 Just recently, 4Gamer.net has just released more screenshots for the Rurouni Kenshin's upcoming game, in celebration of the 15th Anniversary of Nobuhiko Watsuki's top-selling period manga, Rurouni Kenshin: Meiji Kenkaku Romantan Saisen! And this time, Shishio's faction, the Juppongatana, also known as the Ten Swords, is on the limelight! 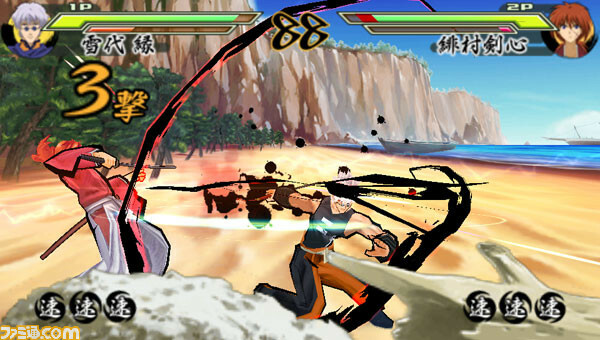 The game is said to cover until the Kyoto Arc in which the anime's adaptation of the manga ended. Chou, whipping his extremely flexible sword! 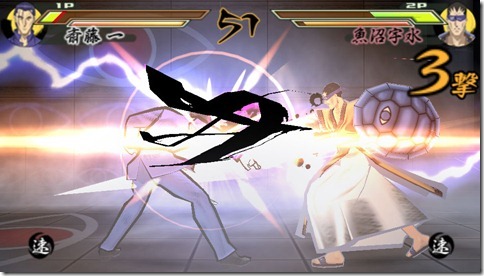 Kenshin's master, Hiko Seijuro shows Fuji how to fight! Misao kicks that girly man, Katamari! Aaand more Shishio, now fighting Aoshi! It was first hinted on the debut trailer that Kenshin's former brother in-law, Yukishiro Enishi will make appearance on the upcoming Rurouni Kenshin 15th Anniversary game, Rurouni Kenshin: Meiji Kenkaku Romantan Saisen. 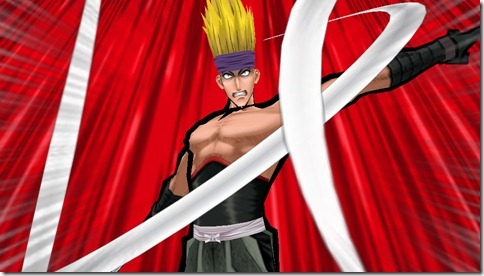 Just recently, Famitsu confirms it with more screenshots of members of Enishi's Six Comrades group, Inui Banjin (who was originally based on Kazuki Kazama design) and Otowa Hyōko! 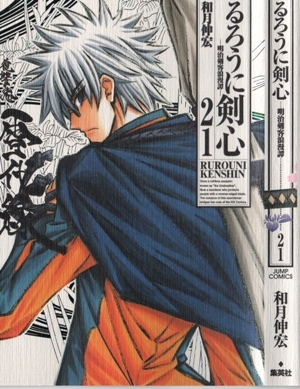 Enishi appeared after the Kyoto Arc in the original Rurouni Kenshin manga. 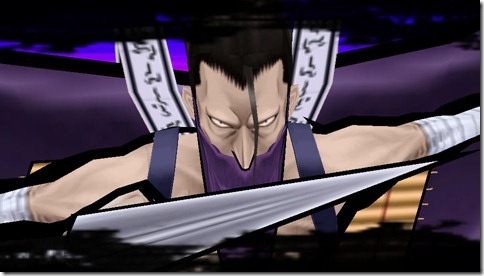 His only anime appearance was on the OVA movie entitled Samurai X: Trust and Betrayal. Enishi never made an actual appearance in the original TV series due it to it being canceled because of low ratings. 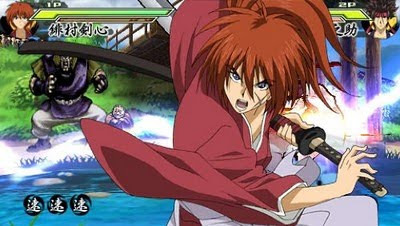 Enishi wants take revenge on Kenshin for what he did years ago and give Kenshin his own judgment (in Japanese, jinchu which opposes Kenshin's tenchu which means judgment upon the heavens) and thus, along with his relationship with Enishi, Kenshin's past love affair with his sister, Tomoe and more of Kenshin's dark past are slowly being revealed. 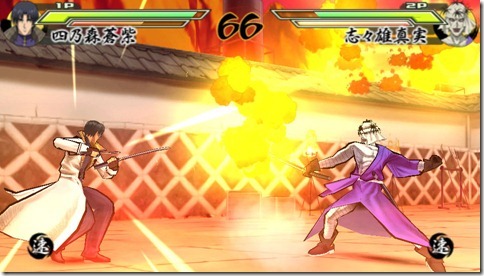 Anyways, here are some screenshots of Enishi's lackeys, Inui Banjin and Otowa, who are also playable characters in Rurouni Kenshin: Meiji Kenkaku Romantan Saisen.